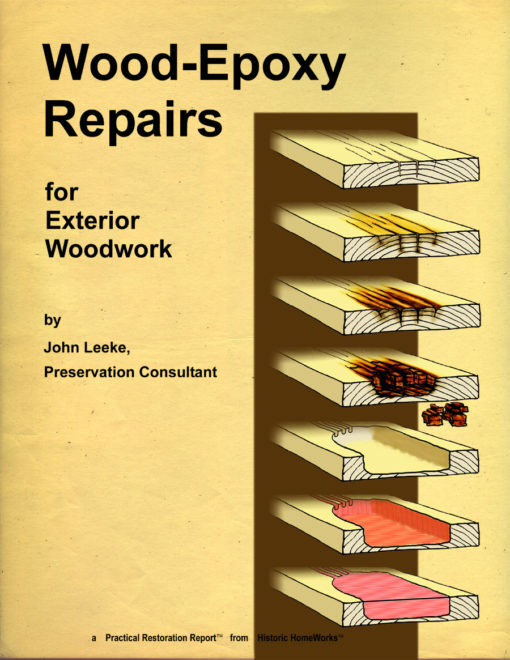 Wood-Epoxy Repairs for Exterior Woodwork | Abatron, Inc. In this booklet, restoration professional John Leeke describes how to stabilize and save deteriorated exterior woodwork with long-lasting wood-epoxy repairs that complement traditional repair methods and modern part replacement. They save time and money when you know how and where to use them. 30 pages.